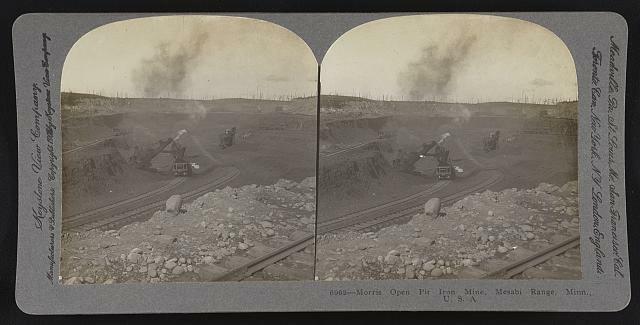 "Open-pit" iron mining with 5-ton steam shovels, Hibbing, Minn.
One of the greatest "open-pit" iron mines on earth (with steam shovels), Hibbing, Minn.
Drilling for a blast, Mesabi Range, Minn., U.S.A.
African American businesses and industry in Richmond, Va. 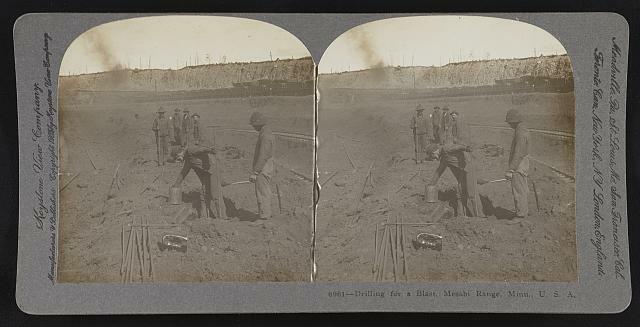 Prospectus of the Missouri Iron Company : with the acts of incorporation. 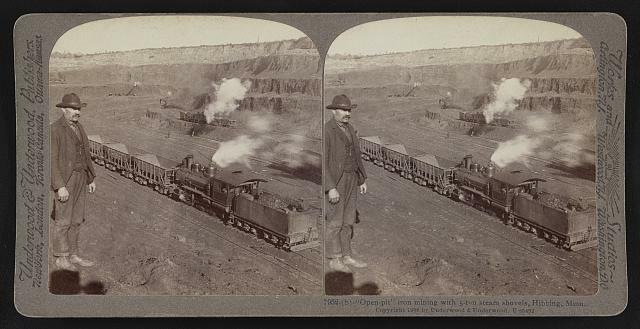 Open-pit iron mine, near Hibbing, Minn.
Morris open pit iron mine, Mesabi Range, Minn., U.S.A.
Large steam shovel dumping load of ore into car near Hibbing, Minn. 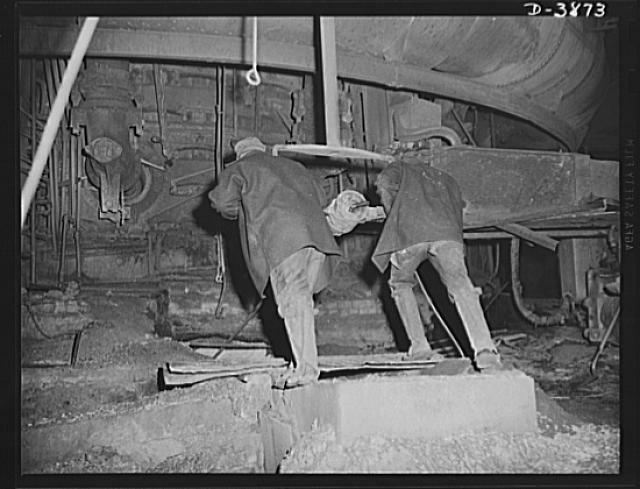 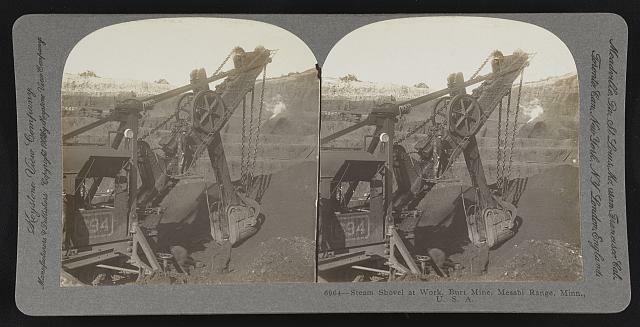 Steam shovel at work, Burt Mine, Mesabi Range, Minn., U.S.A.